Cape Fear Museum › News Release › Cape Fear Museum Joins Smithsonian magazine’s 13th Annual Museum Day Live! 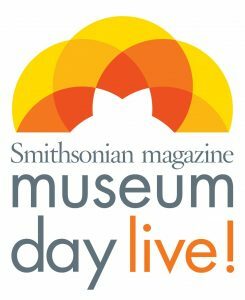 Cape Fear Museum Joins Smithsonian magazine’s 13th Annual Museum Day Live! Wilmington, NC — Cape Fear Museum will open its doors free of charge on Saturday September 23, 2017, as part of Smithsonian magazine’s thirteenth annual Museum Day Live!, an initiative in which participating museums across the United States emulate the spirit of the Smithsonian Institution’s Washington DC-based facilities, which offer free admission every day, and open their doors for free to those who download a Museum Day Live! ticket. “We want to reach out to people who normally wouldn’t come to the museum and engage them with what we do here. Museum Day Live! is a great way for us to do just that,” says Museum Director Sheryl Kingery Mays. Cape Fear Museum’s core exhibit, Cape Fear Stories, provides an overview of the region’s history, cultures, and related science from prehistory through the end of the 20th century. This exhibition educates visitors through artifacts, hands-on activities, models, vignettes, and interpretive text. Children and adults explore STEM concepts in Space Place and the ecosystems of the Cape Fear area through hands-on components in the Michael Jordan Discovery Gallery. Changing exhibits rotate offerings several times per year. Current exhibits include Starring Cape Fear! showcasing the region’s film industry.